Since we do not travel that much any more and since our nephews are older now – I seemed to stop taking pictures regularly. In my opinion there was nothing interesting in my everyday life to photograph… furthermore I´ve a full time job, which keeps me away from the “good daylight” until it´s late and dim or even dark outside. To be honest – I´d like to change that – NOW! So I´d love to incorporate photography a lot more in my daily life. 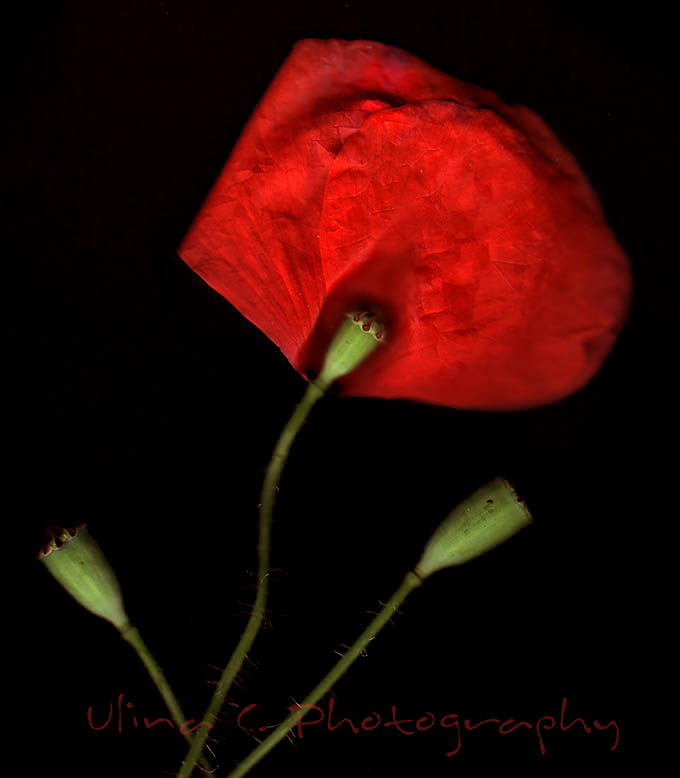 One evening last week – at about 9 pm , when I went out in the garden to turn off the lawn sprinkler, I instantly decided to give an unconventional idea from the Digital SLR Photography magazine (March issue) a try: "Scanned still-lifes"
It was too dark and too late to take a picture of the poppies in our garden, so I picked some withered stems and made a scan – I boosted colours and contrast and voilá – I managed to incorporate "some kind of photography" in my life that day – even if I did not use my camera. This is my result – it took me 20min. 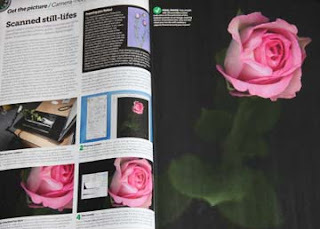 from picking the stems to adding the watermark…. wow your result is beautiful! i love that you showed the photo that inspired you and then your result! thanks so much for sharing! This is a beautiful photo. I love how red pops against black background. Very nice! What a wonderfum idea! I would never have thought you could scan flowers. The result is absolutely stunning!thanks for your comment on my crafting blog by the way and I followed your tip and switched of the "Worterkennung"